We have trial access to The Japan Times Online until 31st May. Japan Times Online is the oldest English-language newspaper in Japan, founded in March 1897 (Meiji 30). It has been published to promote mutual understandings between Japan and other countries. This newspaper includes unique articles which cannot be read in Japanese-language newspapers. Japan Times Online includes articles from 1999-present. (We are also trialling the archive which contains content from 1897-2013). We have trial access to Visible Body until 22nd May. 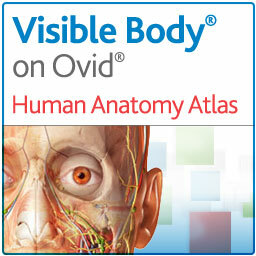 Visible Body is a suite of online programs that cover anatomy, physiology, muscles, the skeleton and the circulatory system through interactive 3D models, animations, quizzes and more. This entry was posted in Trials and tagged Anatomy, database, Japan Times, newspaper, Ovid, Visible Body on April 22, 2015 by eresources. This newer version of Acland’s video atlas provides an online platform for accessing more than 300 narrated videos of real cadaver specimens. The detailed table of contents for each video allows you to go directly to specific points of relevance inside each video. PDF transcripts for each video can be downloaded. Videos can be bookmarked for teaching a learning activities. Self-test quizzes are available for revision and exam preparation, with revision links in the answer for each question. From its roots as an Anglican evangelical movement driven by lay persons, this resource encompasses publications from the CMS and the latterly integrated South American Missionary Society. Documenting missionary work from the 19th to the 21st century, the periodicals include news, journals and reports offering a unique perspective on global history and cultural encounter. *Please note that PDF download options are not available during trials. Enhanced Electronic Grammars (EEG) features comprehensive descriptions of languages from around the world. Through this unique online resource, full grammars are made available together in an interlinked and semantically-annotated format, allowing granular access to the grammatical data and enabling cross-language research of several grammars at the same time. In addition to cross-linguistic queries, each grammar can also be read and researched individually. The electronic format allows for multimodal enhancement of language descriptions, such as audio and video supplements. The Japan Times is the oldest English-language newspaper in Japan, founded in March 1897 (Meiji 30). It has been published to promote mutual understandings between Japan and other countries. This newspaper Includes unique articles which cannot be read in Japanese-language newspapers. The Japan Times Archives Online includes articles from 1897-2013. A trial for the Japan Times Online, which includes articles from 1999-Present, will also be available very soon. Political Science Complete provides extensive coverage of global political topics with a worldwide focus, reflecting the globalisation of contemporary political discourse. The database gives you access to nearly 340 full-text reference books and monographs and more than 44,000 full-text conference papers, which includes those from the International Political Science Association. Subjects covered include comparative politics, humanitarian issues, international relations, law and legislation, non-governmental organizations and political theory. The Prosopographie der mittelbyzantinischen Zeit Online/Prosopography of the Middle Byzantine Period Online (PMBZ Online) is a comprehensive biographical dictionary for the Byzantine Empire in the early Medieval Period (641-1025 AD) documenting more than 21,000 persons. PMBZ Online is based on the print edition of the Prosopographie der mittelbyzantinischen Zeit which appeared in two parts 1998 and 2013. PMBZ Online documents all persons mentioned either by name or anonymously in the relevant Byzantine and non-Byzantine sources, and secondly all persons mentioned in the Byzantine sources both from Western Europe and from the Arabic and Slavonic areas, together with those from the Christian East. The SIPRI Yearbook, written by authors who are experts in their field, is known worldwide as an essential and independent source for issues on armaments and arms control, conflicts and resolutions, security arrangements and disarmament, as well as longer-term trends in international security. SIPRI Yearbook Online offers access to the SIPRI Yearbooks published from 2010 and onwards, all available on one, easy-to-use and fully cross-searchable resource. This entry was posted in Trials and tagged Acland’s video atlas of human anatomy, Church Missionary Society Periodicals Collection, Enhanced Electronic Grammars - An Advanced Research Tool for Linguistics, Japan Times Archive 1897-2013, Political Science Complete, Prosopographie der mittelbyzantinischen Zeit, SIPRI Yearbook Online on April 10, 2015 by eresources. Our access to Financial Times via http://www.ft.com/home/uk is currently unavailable due to a renewal issue which is under investigation. Alternate access to the Financial Times via Factiva remains unaffected. Update: How we access Financial Times has changed, our A-Z lists and catalogue have been updated with the new link which uses EASE login followed by individual user registration. The new access also allows you to set up the FT app on your mobile device. The new link is https://sso.ft.com/sso/auth?entityID=https%3A%2F%2Fidp.ed.ac.uk%2Fshibboleth. This entry was posted in Access issues and tagged access issue, e-journal, Financial Times, FT.com on April 10, 2015 by eresources. We are receiving a number of reports about loss of access to e-resources via the wifi network (Eduroam). If affected please use the library links which are set up to pass through our EZProxy server or the VPN rather than accessing the e-resource directly. We will post further updates to this issue here. Update 23/4/15: Most e-resource providers have now been updated with the new Eduroam IP addresses. This entry was posted in Access issues and tagged access issue, databases, e-books IP Access, e-journals, eduroam, VPN, wireless on April 10, 2015 by eresources.